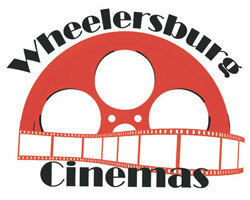 Wheelersburg Cinemas is locally owned and operated. I'd like to begin by saying "Thank You" to all of you who continue to support the Wheelersburg Cinemas with your patronage, of course, without your continued support, we would be unable to stay in business. That makes you, our valued guest our greatest asset. Wheelersburg Cinema has a long history in the community, and has become an icon. However, over the years it has had its ups and downs. Through all of that, it still remains a locally owned and operated theater. Family run theaters are closing down all across the country due to trends in the industry. "Mom and Pop" operations are having a difficult time keeping up with the more "trendy" megaplexes, and even some of the "chain" theaters are having a difficult time in the current economy. Our approach is different -- We have a slightly different way of doing things than most other theaters, and definitely different than some of the previous owners. Personally, the main reason I wanted to own and operate a theater is because I like to watch movies, and I love the atmosphere of going to the theater and watching them on the big screen. We know that you too like to watch movies on the big screen, in a comfortable, family-friendly environment. We want you to feel like you coming over to our house to watch a movie. We take this approach because we want you to feel 100% at home in our theater. To accomplish this, we rely on feedback from our guests, to know exactly what you need us to do to make your experience at Wheelersburg Cinemas the best it can possibly be. Our Reach -- Wheelersburg Cinemas, being a family owned and operated theater, does not have the advertising budget that most of the larger "chain" theaters have. While we have begun to expand our advertising to radio, and TV, we still rely primarily on our guests to spread the word about the theater. We appreciate you helping us out by sharing your experiences at Wheelersburg Cinemas with your friends and family. Through all of the hurdles we must overcome to keep the business going we will maintain that YOU are the most important asset to our business, and do everything we can to keep you coming back. I'd like to again thank you for your continued support. "Come over to our house and watch a movie", hope to see you there! From Mike, Barb, Bill, Kathy, Tim, and the rest of the Wheelersburg Cinemas Crew... Thank you.